Marjorie Mesidor is Partner at Phillips & Associates. She is a Partner at the firm, recognized for her outstanding service to clients who have been subjected to sexual harassment or discrimination based on race, gender, disability, and other protected characteristics. Ms. Mesidor regularly prosecutes employment actions against Fortune 500 companies and smaller organizations accused of discrimination including claims of sexual misconduct. She has had overwhelming success in achieving significant awards and settlements for her clients. Ms. Mesidor rose to notoriety in 2013 when she procured a unanimous jury award in Johnson v. STRIVE, a landmark case decidedly settling the issue of whether those of the same race can discriminate against one another. In addition, her work against the disparate impact of "poor door" policies on rent stabilized tenants has earned her recognition by the Office of the Public Advocate. Her most recent verdict of $2.31 Million dollars was awarded in Sooroojballie v. Port Authority of New York and New Jersey in September 2018 for a race and national origin based hostile work environment claim. Ms. Mesidor has been a Guest Legal Correspondent appearing on WPIX Morning News, WBLS "Cafe Mocha" and 103.9 Long Island News Radio "On the Docket", Guest Legal Correspondent. 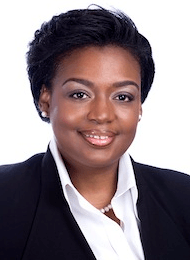 Marjorie is one of the National Black Lawyers' Top 100 Black Lawyers, a "Rising Star" and "Top Woman Attorney" by New York Super Lawyers every year since 2013. As recently 2018, Ms. Mesidor was named CRAIN Magazine's Top Women Attorneys in New York City. She has been a continuing legal education panelist for the National Bar Association's Labor and Employment Section and NELA NY on various topics in trial advocacy, punitive damages and jury awards. She authored an op-ed article published in the online publication, Motto, from the editors of Time® Magazine. With over 13 years of experience practicing before both state and federal courts, Ms. Mesidor understands the stress and fear that workers experience when their jobs are threatened by a coworker or employer's inappropriate conduct. She handles complex employment law matters in these areas at all stages of the litigation process, serving as a forceful advocate at the negotiating table, and a formidable opponent in the courtroom. Ms. Mesidor was admitted to the Connecticut Bar in 2004 and the New York Bar in 2005. She has also been admitted to practice before the federal courts at the United States District Court of the Southern District of New York, the United States District Court of the Eastern District of New York, the Second Circuit Court of Appeals and the United States Supreme Court. Early in her career, she clerked for the Honorable Torkwasé Y. Sekou in the Superior Court of New Jersey, gaining valuable insight into the inner workings of our judicial system. Prior to joining Phillips & Associates, Ms. Mesidor handled complex litigation in several practice areas, and served as Chief Counsel to Project Hope, an organization that provides antiviolence and educational workshops and programs services to underserved youth in South Queens. Therefore, in addition to her extensive experience handling discrimination and harassment cases, she possesses a strong background in wage and hour, not-for-profit, and corporate law matters. Marjorie has received several other awards and distinctions, including an Exceptional Service to the Public and Community Award, Service to the Bar Award, and a Merit Award for Franklin College Switzerland. Early in her career, she was a 2004 Scholarship Recipient from the Suffolk County Women's Bar Association, and a Minority Fellow of the Association of the Bar of the City of New York. Dedicated to serving a global New York client base, Ms. Mesidor is fluent in Italian, French, and Haitian Creole. She maintains professional memberships with the National Bar Association, National Employment Lawyers Association in New York, and the New York State Bar Association. Marjorie is a member of the NYU Center for Labor and Employment Advisory Board. She sits on the Ethics Board of the Town of Brookhaven. Ms. Mesidor is a proud Life Member of Zeta Phi Beta Sorority, Inc.; a community conscious action-oriented organization.